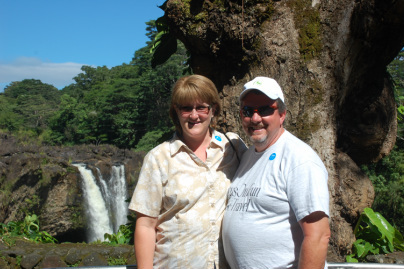 Focus On Fun Travel was created by Marty & Barbi Cooper, currently residing in Longview Washington. It first began back in 1993. A lot has changed in how we look at traveling since then. And how we book our vacations! With the internet, we've been able to get online and do so much investigating about where we want to go, how we want to get there and sites to see along the way. But also, so many booking sites! The problem with that... No "one on one". No personalization! That's where Focus On Fun Travel comes in! It's our FOCUS to make your vacation experience a memorable one. We'll do the homework, so all you have to do is sit back and relax! We'll also make sure your questions and concerns are addressed before you leave. You don't live in Washington? No worries! Most of my clients live outside of WA. Just call, text or email. I can give you lots of options based on your request. Our promise to you is that we will continue to further our knowledge in the world of travel. There's always something to be learned!